Autozkin strives to be an admirable role model and an example of an ethical and responsible Supplier, Distributor, Service Provider and Retailer of a diverse range of products and services. We care and do the right thing for our customers, our staff and partners, our global community and environment. In 2014, we began to incorporate and practice Corporate Social Responsibility in our daily business operations. We have identified 3 key sustainable focuses – Business, Social, and Environmental – to guide our CSR practices. 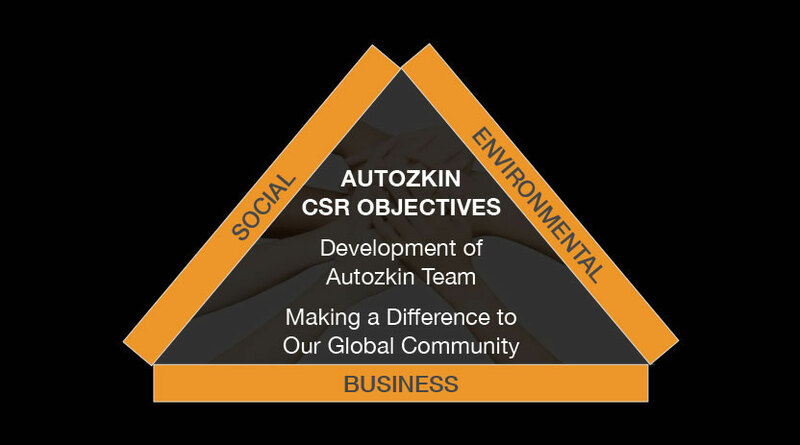 Autozkin’s CSR Objectives encompasses many aspects related to the 3 key sustainable focus areas. 3 key sustainable focus areas. To find out how you can be a part of our car initiatives, contact our head office directly by referring to the ‘Contact Us’ section of our website.